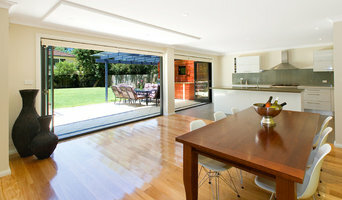 Martin Kolarik Home Design is Sydney’s North Shore Specialist Designer. We specialise in designing your dream home extensions and renovations and preparing the complete documentation to submit Complying and DA applications. Martin Kolarik's central design philosophy is modernism, for its elegant simplicity. He appreciates and employs the use of architecture to introduce natural light and ventilation as significant components of the design. This has a positive effect on the sustainability of your home. Martin creates spaces which are designed to be aesthetically elegant, comfortable and functional which will stand the test of time. He challenges the design solutions to ensure your design maximises every opportunity, and the investment you are making, to achieve a home that you will be excited to live in. His expertise is in designing private homes and this includes extensive experience in Bushfire prone properties, sustainable building principles, and sympathetic Heritage Conservation integration. We always find the right solution. Therefore, from your very first call you can rest assured you are in the hands of a specialist who has a 100% success rate. We are a small firm based on the Northern Beaches of Sydney specialising in residential architecture with a strong bias to solar passive design and a fresh approach to contemporary styling. We take each project to be as unique as the clients and the site. 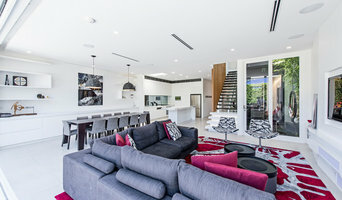 This results in custom designed homes with articulated facades, thoughtful detailing, and well crafted light flooded interiors, that are a joy to be in. LivingLot is a building design consultancy providing design and planning approval services to home owners in the Sydney area. Vibrant, innovative and professional. Renovate Plans is a young and energetic team of designers who listen to your requirements and generate a tailored solution for each and every unique project. Our experienced draftsman cater for simple and complex building designs of all shapes and sizes. We deliver results and exceed expectations. No unreturned phone calls or unnecessary complexities. Our team guide you from concept to approval, so you can continue your day to day activities hassle free. Renovate Plans is dedicated to creating places for people to live meaningful, happy and healthy lives in. With a wealth of knowledge in the building design industry and a commitment to our clients, it’s no wonder we have so many satisfied clients! Our One-Stop-Shop means you get access to a package of all typically-required inclusions from Design, Engineering, Surveying and Private Certifiers, through to highly decorated partner builders we've teamed up with. Contact us! We are a multi-disciplinary practice working with clients on residential, commercial and industrial projects. Our specialty is working with clients to create beautiful homes, with period homes a large part of our output. We value the heritage of the inner city areas, yet keep our focus on a robust modern approach to design. Heritage buildings make up a fair proportion of our work as a natural extension of having an inner city practice. We like to see the projects through from concept to completion. Sharon Jones is located in Greater Western Sydney, with projects located from Sydney to the Upper Blue Mountains. Our Clients are looking for a personalised, friendly experience creating individually designed homes, that exceed our clients desires and expectations. We design holistically for the location, environment and cater for the entire family. From an idea and a giant wish list we put create beautiful homes. I have also been very lucky to have a network of excellent builders, engineers, surveyors and private certifiers; this all helps the project progress from stage to stage fluently. I have been fortunate enough to work with people creating wonderful dreams for the past 30 plus years. IL Design is a boutique building design studio based in Willoughby, New South Wales, with a solid focus on creative and innovative design and is a member of the Building Designers Australia. We specialise in residential design, including new build, extensions and renovations. 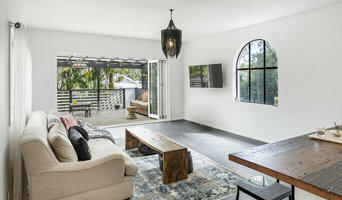 As with all other professional services for home design and renovation, the best way to choose a building designer in Normanhurst, New South Wales is to asses their past work against the style and requirements you have for your individual project. The role of building designers has evolved from traditional drafting services to building design that takes into account your lifestyle, budget and site condition. Building designers in Normanhurst, New South Wales also often work with contractors to ensure that structural elements are in line with desired aesthetics. Once you have a shortlist of building designers in Normanhurst, New South Wales, engage in face-to-face talks about your brief, to ensure you’re on the same page. To get the most value for your money, you want someone who understands you, agrees with your ideas – in relation to sustainable design, space and function – and has the qualifications and enthusiasm to translate ideas to paper and into a reality. Look through Photos of house designs to find projects similar to your brief. Then, click through to the professional responsible for your favourite picks, browse their latest projects and read reviews. Once you’ve created a shortlist of Normanhurst, New South Wales building designers, strike up a conversation with each one and you’ll be one step closer to the house of your dreams!